If you are interested in receiving training, please contact us and we will discuss the best options for you. In Ireland, there are some unqualified people providing training without insurance. For your safety, we don't recommend you engage these people. We recommend travelling to Spain or the UK to receive training from fully qualified and insured instructors. We have partnered with a number of schools in Spain and the UK to provide this training. Paramotor training starts with learning how to handle the glider from the ground. 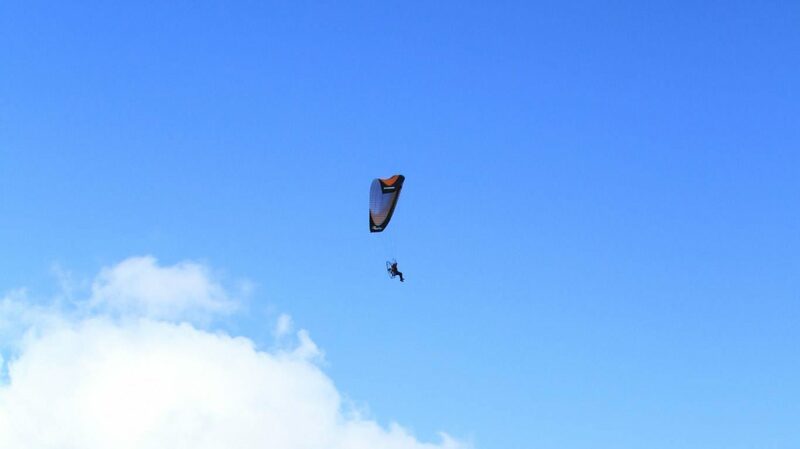 When you build your confidence and skills with the glider on the ground, you learn how to launch the paraglider. Once you have learned to launch a paraglider you will progress onto learning about a paramotor, how it works and the safety knowledge required to use one. We will then teach you how to launch with the engine on your back; then it's into the skies for your first paramotor flight. Our partner training facilities in Spain are located in Murcia and Malaga, which are BHPA accredited schools. Since this sport is weather dependent, Spain offers you a much higher chance of completing your course in a shorter period. Our courses include all required paragliding/paramotor equipment, all tuition, accommodation, airport transfers, etc. Please contact us for pricing information and your preferred training location. Ryanair offers daily flights to Malaga and Murcia during the summer months. A winter schedule applies to flights to Murcia during the winter months (Saturdays and Tuesdays). Ireland currently doesn't offer a pilot's license for Paramotoring. This is expected to change in the near future. For the short term, we recommend taking the BHPA (British Hang gliding and Paragliding Association) training and qualify for a BHPA license. Once you complete the above course, you will have an internationally recognized qualification and license.